Hike to Klövaberget's cliff and admire the view from the 30 m high and 100 m long rocky edge. Walk up to Klövaberget's extensive view of Simlångsdalen and on to Vinnalt. 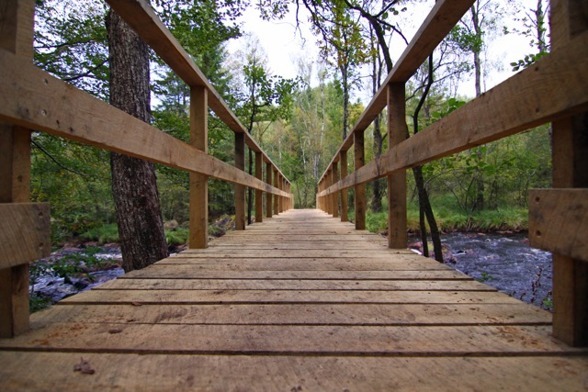 Enjoy some barbecuing, try fishing, eat well and hike on the old railroad Bolmenbanan back. Fika(coffee and snacks), accommodation in a log house, 3-course wilderness menu and a nice breakfast to wake up to. Contact Tallhöjden Inn for booking or questions.